Don graduated from Brooklyn Law School in 1968 and spent the next two years as an officer in the United States Army, certified as a Judge Advocate. While in the Army, he participated in courts martial and supervised legal and administrative matters for the Army Aviation Test Activity at Edwards Air Force Base, California. There followed a stint with the criminal division of the Nassau County Legal Aid Society, during which time he was regularly engaged in trial, and rose to become the President of the Nassau County Society of Legal Aid professionals. He then became the New York District Counsel for the Equal Employment Opportunity Commission, at an exciting time when the parameters of Title VII of the Civil rights Act of 1964 were being defined by the courts. In the mid-1970’s, Don went into private practice as a commercial litigator dealing with cases as diverse as SEC enforcement actions, securities class actions, real estate disputes, and employment discrimination. He became a litigation partner at Olnick, Boxer, Blumberg, Lane & Troy, which merged with Stroock, Stroock & Lavan, where he was a partner in the litigation department. He later returned to small firm practice, and eventually started his own firm, which has now become Derfner & Gillett, LLP. Don’s tenure as a commercial lawyer and a businessman spanning over 45 years has given him a broad spectrum of experience which enables him to counsel clients in a variety of areas, all with an eye toward achieving a cost-effective, favorable outcome. 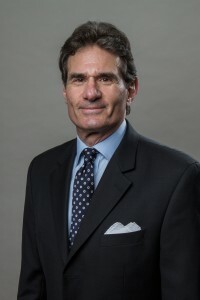 While most comfortable in the commercial litigation courtroom, Don also regularly engages in arbitration and mediation of disputes, and sits on and advises boards of directors. He is currently the president of his co-op building in Manhattan. Don is a member of the American Bar Association sections on Litigation, Business Law and Labor & Employment Law; the Federal Bar Council; the New York State Bar Association Section on Commercial & Federal Litigation, Entertainment Arts and Sports Law, Labor and Employment Law and Real Property Law. He is also a member of the New York City Bar Association, where he sits on the Judiciary Committee, which is responsible for interviewing candidates for judgeships. He is a member of the City Bar Art Law Committee and the Tax Sub-Committee of the Judiciary Committee as well. Martindale-Hubbell AV Preeminent Rated; 2016-2018 Superlawyer. Education: Michigan State University; Brooklyn Law School. Admitted: 1969, New York; 1972, U.S. District Court, Southern and Eastern Districts of New York and U.S. Court of Appeals, Second Circuit; 1973, U.S. Tax Court and U.S. Supreme Court; 1975, U.S. Court of Appeals, Seventh Circuit; 1982, U.S. District Court, District of Connecticut; 1984, U.S. Court of Appeals for the District of Columbia Circuit.